The SUCCESS 4 is more than just a new addition to the popular SUCCESS family: its outstanding level of safety - far exceeding the general protector certification criteria – makes it something special. Its perfect seating geometry and a stylishly clean silhouette recommends this modern sports harness to those leisure and cross country pilots who value comfort combined with low aerodynamic drag. SUCCESS 4 safety reaches new heights: the main protector extends far up the lower back. From there another foam protector continues up the spine to the shoulders. For the first time side impact protection from German protector manufacturer SAS-TEC is included in the design. The SUCCESS 4 specialises in maximum comfort. 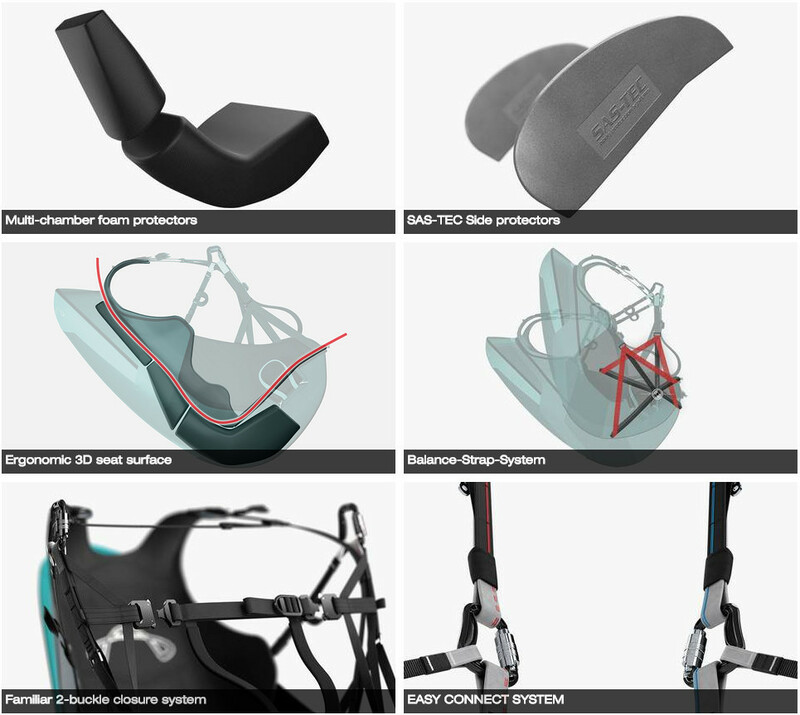 The latest 3D development methods have produced a harness which fits the human frame to ergonomic perfection. Two foam protectors and the familiar ADVANCE comfort foam support not only the lumbar region, but all of the back in flight. The SUCCESS 4 scores with an exceptionally compact shape and slender silhouette, even though there are two additional protectors inside. A smooth and stress-sharing design guarantees the cleanest aerodynamics - for a total weight from only 3.9 kilos. The SUCCESS 4 has two multi-chamber foam protectors which ensure controlled air exit, thus providing the best possible protection performance. The main protector (LTF 91/09) extends upwards beyond the lower back. An additional protector continues up the back to protect the thoracic spine (rib attachment vertebrae). This foam can be taken out to make more room in the back pocket. Two visco-elastic soft-foam side protectors from German high-quality manufacturer SAS-TEC protect the pelvis, principally from side-directed crashes. These SAS-TEC parts can be removed and replaced. The 3D-designed seat surface gives the SUCCESS 4 its great comfort. In addition, both protectors and the comfort foam are arranged to support the whole back perfectly – from top to bottom. 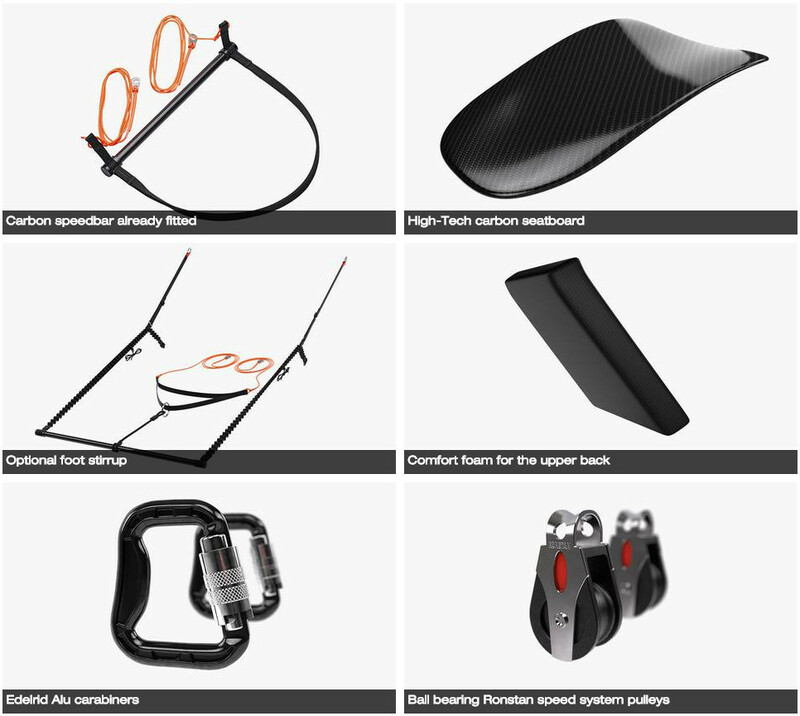 The Balance-Strap-System sliding support principle makes it easy for the pilot to slide back into the harness after takeoff, and helps him stand up again in the harness before landing. This traditional balance arrangement responds to the changes in pilot centre of gravity position encouraged by pulling in the legs after takeoff, and extending them before landing. 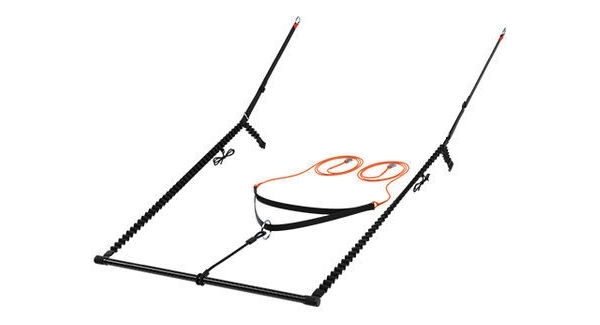 Only two buckles make up the ADVANCE harness leg and chest strap Safe-T-Function – easy to see, simple to close. The SUCCESS 4 has the EASY CONNECT SYSTEM. 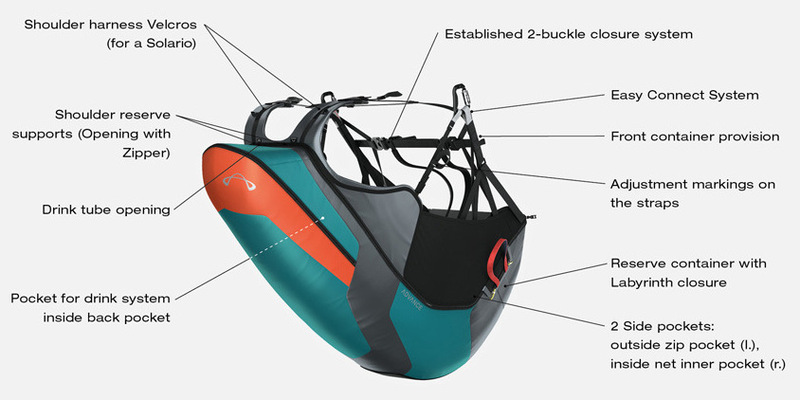 Coloured marking on the harness carabiner loops make clipping into an ADVANCE paraglider straightforward - the risers also have the EASY CONNECT marks. The SUCCESS 4 comes with its own carbon speedbar, fitted - ready to go. The speed lines run through ball bearing pulleys in the harness; in place at delivery. A reengineered, even lighter composite carbon sandwich seatboard (from 284 grams) now has rounded and extremely smooth edges, as well as a state-of-the-art, even stronger fibre alignment pattern. A luxury foot stirrup is available as an option for SUCCESS 4. This component is included in the certification and has a speedbar locator. The 4 cm thick comfort foam in the upper back section of the SUCCESS 4 supports the spine perfectly and keeps you sitting comfortably, relaxed and alert on long flights. The ALIAS carabiners from Edelrid, with Twistlock gates, demonstrate high strength for only 58 gms each – and the extra wide opening angle contributes to easy handing. The Ronstan speed pulleys have high quality ball bearings. These make a significant reduction in speed line friction forces, giving you an easy-to-push speedbar. Custom colours: Extra cost. Delivery time approximately 10-12 weeks. Colours usually chosen from current Advance harness colours. Place your order then contact us to confirm your desired custom colours.